I've lived in San Diego all of my life and I never knew that The Welk Resort actually had events for the public. I also tend to skip over North County events, not because I don't care, but the central and south parts of the county keep me pretty busy on their own. Anyhow, there's a music festival this weekend at the Lawrence Welk Resort. It's free for the early evening portion from 3-7pm each day, and there are ticketed night shows featuring some tribute bands. I'd go into more detail, but the press release is pretty clear and concise. Click 'keep on reading' for details. This weekend catch the Lawrence Welk Resort Summer Music Festival featuring local bands from 3pm-7pm on the Welk Resort outdoor stage next to the Beer and Wine garden. Sit on the patio and enjoy different varieties of beers while listening to local bands! Enjoy BBQ and a Farmers Market, activities for the kids, golf and much more! In the evenings at 8pm catch Surfin' Safarai - A Tribute to the Beach Boys (July 1); Abbey Road - A Tribute to the Beatles (July 2) and Hollywood Stones - A Tribute to the Rolling Stones (July 3). All tribute shows begin at 8pm and are just $20. Local bands will playing on the outside stage at the Welk Resort from 5-7 PM and rock tribute acts will perform inside the theatre at 8 PM during the festival. 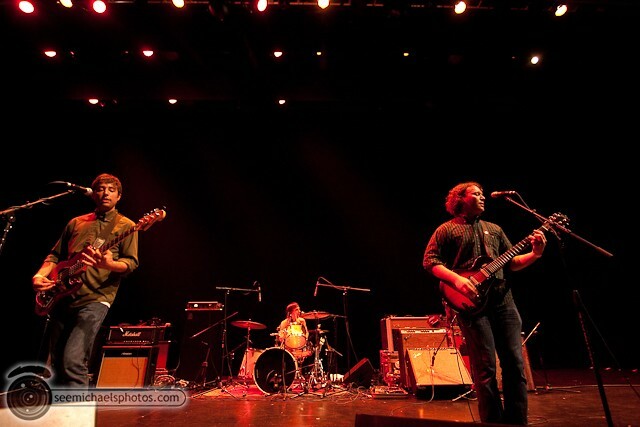 Popular North County punk band, Plane Without a Pilot, opens the festival on July 1 and plays a free concert from 5-7 PM. www.myspace.com/planewithoutapilot . The headline music act on July 1 is Surfin Safari – The Ultimate Tribute to the Beach Boys. The band is musically directed by former Beach Boys’ music director Chris Farmer.The show starts at 8 PM and tickets are $20.. www.surfinsafariband.com. July 2 features local favorite acoustic singer/songwriter John Lowery. The highly acclaimed acoustic guitarist was a member of Hatful of Rain at the height of the group’s popularity. He plays original songs, which he performs in North County coffee houses, and covers artists like Jack Johnson. His site is www.myspace.com/johnlowerymusic.The show is free and is from 5-7 PM. The headline act on July 2 is Abbey Road – A Tribute to the Beatles. The Los Angeles Times said “this show delivers” the Orange County Register said “if you see one tribute act, see this one – smart and loads of fun,” and the Idaho Stateman said “if you like the Beatles, this is the ticket for you.” The group’s three costume change show, Liverpudlian patter between songs and faithful recreation of the music of the Beatles is a great show. The show begins at 8 PM and tickets are $20. www.tickettoridemusical.com. I am generally not a fan of girl pop, so when I got Kate Miller-Heidke's CD in the mail I could've tossed it aside. I'm not really sure what it was about Curiouser that made me immediately pop it in the CD, maybe I just hadn't had a new CD in a few days, but I listened, then listened again. It got me through some writing, then through some house cleaning, then through some TV on mute time, then some photo organizing. I was hooked. Kate's playing this afternoon/evening at the Casbah. If you haven't been to a matinee show at the Casbah, they're really fun...it feels like you're breaking the rules by being thre before sunset. The show is only $10 and from the reviews I've seen of her tour so far, you will be in for a treat. OB Street Fair & Chili Cookoff feat. 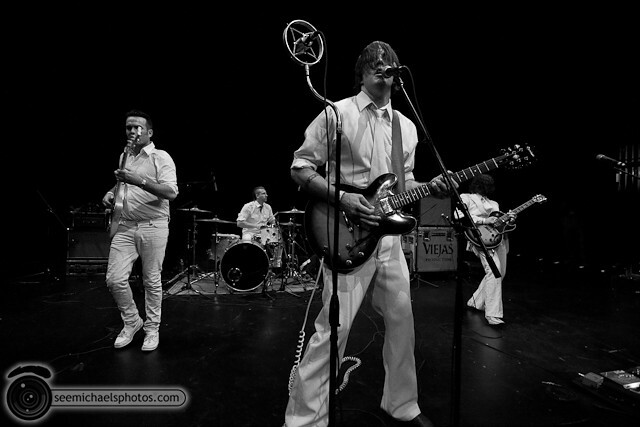 The Styletones, Vokab Kompany, Mike Pinto, Electric Waste Band, The Watchlist, The Red Not Chili Peppers, Safety Orange and more @ Ocean Beach, Newport Ave. 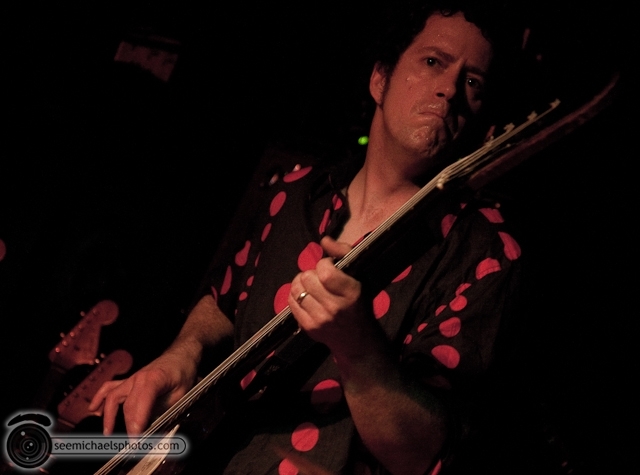 Yesterday Jeff chose Dirty Sweet as his "weekly pick" here on sddialedin.com. I thought I'd give a little more info and give away some tickets. The show is presented by Daydream Nation, the new promotion company run by Eric Howarth of Hi-Speed Soul Records and former owner of M-Theory. 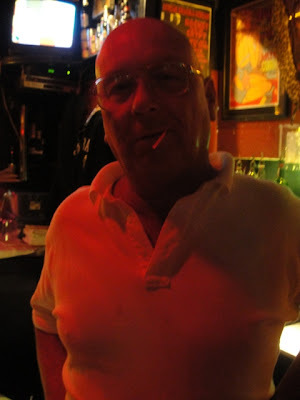 He's the reason Tim Pyles and I got a tour of the club before it opened and why we attended the soft opening. The club has now established itself in downtown, but it is ready to experiment and crossover to maximize the amazing sound system and setup the club provides. The lineup includes Dirty Sweet, Scarlet Symphony, and The Howls. Tim Pyles will be hosting, I'll be there, and other people are involved, too, like party hostess with the mostess, May*Star. A critical factor for the evening for someone like me is feeling comfortable in a high end nightclub. As such, there's no dress code for the night, so you know I'll be there in my standard jeans and hoodie. There will also be art from Eric Wixon, Andrew Rymer, and Steven Suiter and perhaps most important to those of us on a budget, there will be beer and shot specials all night. The show takes place this Thursday, June 24, at FLUXX, with doors opening at 9 pm. Tickets to the event are $10 in advance here, or $12 at the door. Most of you probably don't know me so here's a brief introduction. 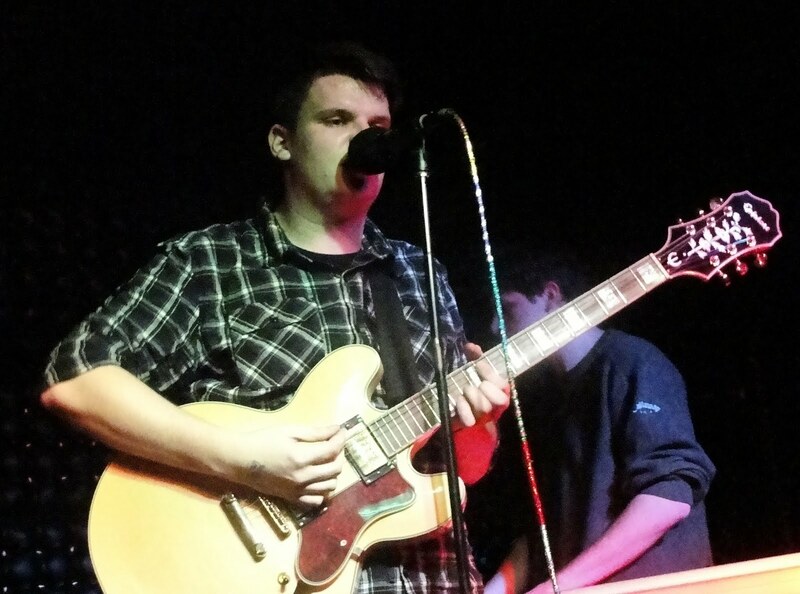 I'm a huge local music fan and try to make it out to a rock or jazz show at least once a week. Most of the time, I bring my camera. I usually refuse to be a guest blogger on other peoples' sites. I figure that if anybody's interested in seeing my work, they can find my blog. But when Rosey asked me to do some posts here, I had to reconsider. She has been a fixture on the local music scene for years, and has always helped me out whenever she could. For that I am grateful, and I'm honored to be a contributor. Rosey got me in to last month's Birch North Park Theatre show, featuring Dirty Sweet, Transfer, The Silent Comedy, and Apes of Wrath (now called New Mexico). It was a fantastic show and I'd like to show a group photo from each band here, in order of appearance. You can see more photos on my blog at www.seemichaelsphotos.com. I hope you like them. My next post will be photos from last Sunday's Tortoise show. So today's the day that FM 94/9 made their big announcement about Independence Jam, which will once again take place at the Oceanside Pier. Tickets are $30 (no service charges) with $1 of each ticket sale going to the About the Music fund. Tickets are on-sale Friday, June 25 at 10 am here. San Diego Music Award winners Dirty Sweet will make their next live appearance this Thursday at the recently opened downtown nightclub Fluxx. Having never been there personally, it will be interesting to see how the band sounds in what the club notes is a "state -of-the -art lighting and sound system" via their website. The show is the first endeavor of Daydream Nation, started by Eric Howarth (former owner of M-Theory). Dirty Sweet is carving its own niche in the rock and roll woodwork with the the release of their latest album American Spiritual. This is a record that truly reinforces the hard driving sound the band is known for. There is more variety within the LP and shows a band that is both maturing and ready to take their sound to a larger audience. Known for their frenetic live show, this a must-see event, so make the trek downtown to see one of San Diego's best live bands in a new venue. It should be good times indeed for those in attendance. As a side note, there is no dress code for this show. Scarlet Symphony and The Howls set the stage. Watch a video of Marionette below. Airborne Toxic Event Support Amnesty International with "Neda"
I suspect that most of my readers have some web savvy and interest in pop culture and current events...I mean, if you read a local blog, chances are you're reading twitter, facebook, have an RSS feed, and 18 other web pitstops before you get here, so I shouldn't have to explain Neda. Just to refresh your memory, she was a student involved in peaceful protests after the Iranian election in 2009, and was shot with a single bullet...and it was caught on video and posted online. Many tributes in various art forms have been created to celebrate Neda's life, the innocence lost, the struggle to get fair elections in Iran and all over the world. If you have HBO, I urge you to watch "For Neda" which is currently On Demand. To help the cause or to just get more information, please click here. Arrows changed to Arrowws...correction...band will now be called lesands. The Watusis used to be The Atoms, but you already knew that, right? Tropical Popsicle is the side project of Timothy Hines of Lights On. Low Volts is Tim Lowman, bassist for Blackout Party. 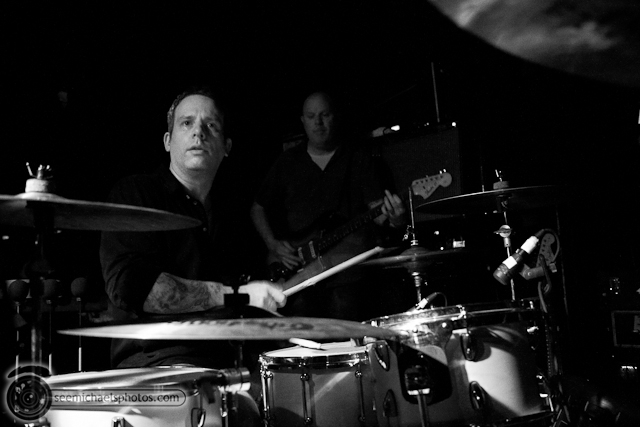 Black Swans is Jon Piotrowski of Demasiado. I'm also getting wind of a bunch of breakups and makeups. So hard to keep it all straight sometimes. Got more info for me? Send me your news at sddialedin at gmail. I'm back from Vegas. 'Twas a fun family trip, lots of good times with family and all, but I'm back and I'm ready for a San Diego weekend, some World Cup action, uninterrupted wi-fi, and control of my own remote control. I need a date/partner-in-crime on Friday night if you care to be my plus one for the Comedians of Chelsea Lately then either Beauty Bar or Casbah after. Yes, I'm serious. You should know how to find me. Full weekend listings if you click 'keep on reading'. I've run a couple contests over the past few weeks...for the Whigs and Autolux and some Black Keys vinyl...winners were already notified, so if you didn't hear from me, you weren't a winner this time around, but thanks for entering. I'm still in Vegas, we're not heading back until later tonight, but I have a moment of free wi-fi and wanted to share an exciting e-mail I received. Remember back when I posted the Humphrey's Concert Calendar? I didn't really wanna jinx myself, but in a lot of ways I thought the comedy lineup was better than the concert lineup...don't get me wrong...there are great music shows, too, but for my taste, I'd see just about every comedy show there if I could (Jim Gaffigan, Joel McHale, Margaret Cho), but the one I'd really love to see is this Friday night with the Comedians of Chelsea Lately. Chelsea herself won't be there, but some her best round-table comedians will be, including Jo Koy (Josep is NOT gay!! ), Josh Wolf (super hottie), and Whitney Cummings (formerly on Punk'd). Chuy is making an appearance, too. Anyway, I have TWO pairs of tickets to give away. E-mail sddialedin AT gmail with the subject "Josep!!" and I'll pick two winners by Thursday to attend the show Friday. I'm in Vegas this week, but here's what's going on while I'm gone. LA- based rock band Rooney make their return visit to San Diego this Wednesday. This time the band will headline the recently remodeled and renamed Mission Beach venue Soundwave(formerly Canes). Those who have not been in the renovated space will hardly recognize it from its previous appearance. What does markedly improved lighting, better sight lines and a more open space mean? A much better overall experience for the concert goer, having been there myself several times recently. The main ingredient for a good show is the music, and Rooney fits the bill perfectly. This is a band that has experienced its share of highs and lows in a ten year history. The band released its third full length, Eureka, on June 8. 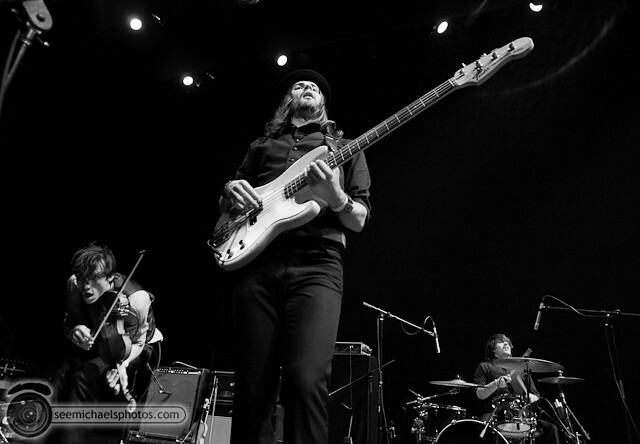 Many of the songs are immediately likable, while main songwriter Robert Schwartzman is trying to capture the spirit from the band's prior efforts while building a bridge into the future. Not all of it works all the time, but their live show promises to be a good time for all those in attendance. 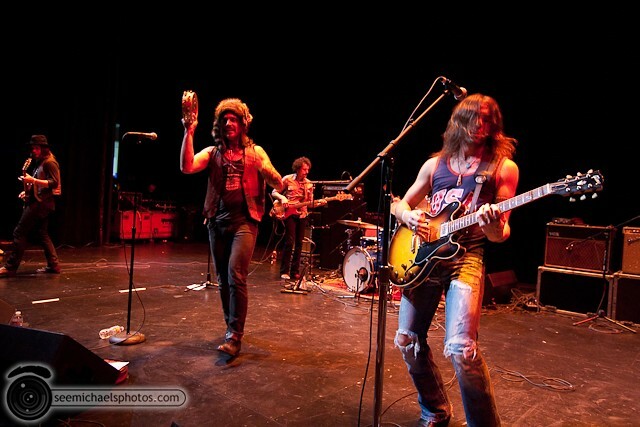 The Young Veins and Black Gold set the stage. Watch a video of "I Can't Get Enough" below. Rooney "I Can't Get Enough" from Team G on Vimeo. The lineup for the show is phenomenal: Transfer, Furious IV, Ziggy Shuffledust and the Spiders From Mars, and Wirepony in the Atari Lounge. Tickets are $20. Additionally, raffle tickets will be for sale at the event, with great prizes and gift certificates from Riviera, Starlite, Bite, Ocean Minded, Dekline, M-Theory, Lucha Libre and more. I hear there's also a lifetime Casbah pass in the raffle, which is priceless. For any out-of-towners who know and love Bob, but can't be here for the show, you can donate via the widget below. "I wrote 'Get Along' about moving out to NYC and having an old friendship fall apart. It made me want to run back to California (which I ultimately did)." "A mix of narrative songwriting, driving guitars, ever shifting backing beats, and haunting organ whorls create the quartet’s signature sound." 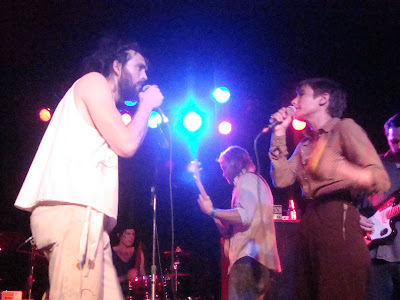 "The unsigned Lawrence, KS four-piece have been bowling over folks like Spin Magazine, Stereogum, Brooklynvegan and Impose Magazine with their contagious sweat soaked garage pop." 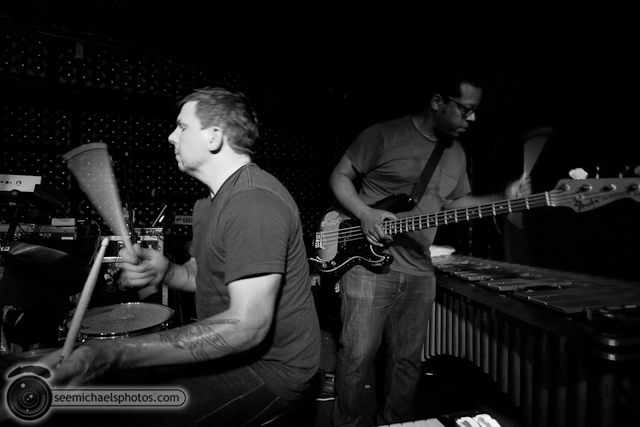 "Snuffaluffagus, a musical endeavor created by songwriter Chris Braciszewski, was born out of a home studio project in his hometown San Diego and, over the last couple of years, has progressed into a collective of collaborating musicians basing their creative stylings around central ideas and concept albums." 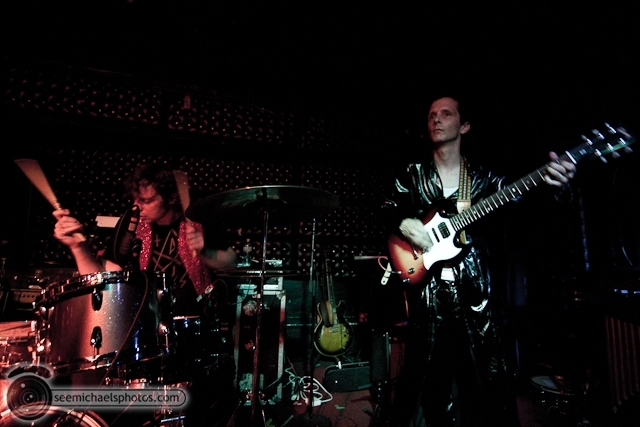 "The Vicious Guns give you a whirling electric glam punk sound"
"Places And Numbers is Bobby Darling-- former guitarist for critically acclaimed art rockers Gatsbys American Dream...the Waking The Dead EP is a study in digital composition-meets-raw, revealing, unapologetic lyrics." "Every ticket purchased to the tour comes with a download of the new album delivered via email on its June 15 release date." Watch three performance videos from the new album, Mojo, at TomPetty.com or on YouTube. Freecreditscore.com is looking for a new, independent band to sing a new batch of catchy jingles – and, they are currently accepting submissions online. They have already conducted live searches in New York, Chicago and Los Angeles, but wanted to democratize the process by opening it up online, too. Click here for info. And because I love them, Fanfarlo released a new video for "Fire Escape"
Got through less than half but I have big plans today and tonight, so I'll have to get back with more later. Enjoy. O asked that I share the following information with you. If reading the whole thing is too much, the short version is that Ron Cameron has an art exhibition called "Dismantled Hope", accompanied by music by Jason Lytle of Grandaddy. Jason will also be performing a solo set at the opening Friday night at the Encinitas Library. 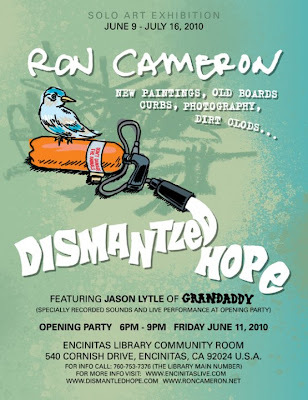 Ron Cameron - Solo Art Exhibition "Dismantled Hope" is Cameron's first solo art and graphics show combining 20 plus years of his world famous skateboard graphics, and new works that mesh together in a slacker -meets- upside down world -meets- unstoppable hope dialogue. Ron will showcase vintage production skateboard decks, hand-painted decks, screen prints, photographs, sculptures, and new paintings. Ron Cameron has been working feverishly behind the scenes of the youth culture market since 1986; creating some of the most memorable and iconic images that have helped shape today’s boardsports lifestyle. Envisioning the identity, philosophy, and art direction for skateboard companies, music events and clothing brands such as: Blockhead Skateboards, Acme Skateboards, Warped Tour, and RVCA Clothing. Ron has consistently brought color and attitude to the unsuspecting outside world, while keeping a similar thread of a central vision throughout all of his projects. Ron has also created artwork for other respected skateboard brands such as: H-Street, Vision, World Industries, Foundation, Toy Machine, and Krooked. International magazines: TransWorld Skateboarding, Big Brother, and Heckler. Clothing brands: Etnies Shoes, Nike SB Shoes, and 24-7. 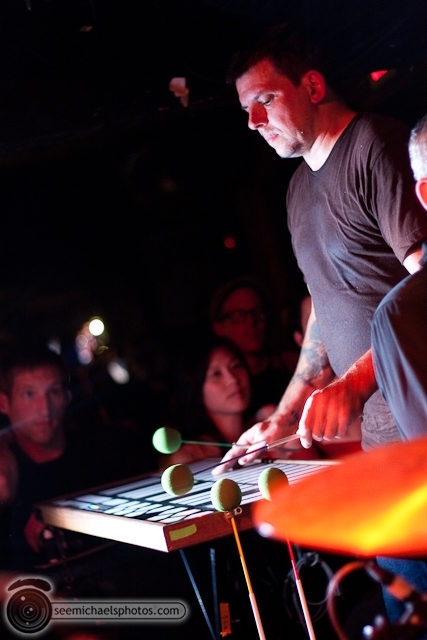 Bands: Plastikman, Buck-O-Nine, Big Drill Car, and The Mummies; and events: ESPN X-Games. 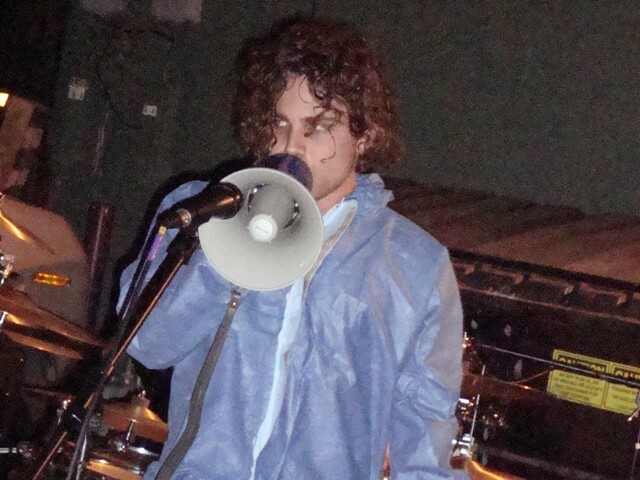 Jason Lytle (who is creating the soundtrack for the art show) was the mastermind and frontman of the groundbreaking and creatively emotional band Grandaddy in the mid-1990s through the mid-2000s. Now working primarily as a solo artist he continues to create lush and thought-provoking music for movie soundtracks, car commercials, and other various projects around the world. Ron and Jason have come together to collaborate on this art show for multiple sane reasons such as; they were both sponsored by the same skateboard company (Blockhead) in the late 1980s and shared similar artistic influences during this time; they both grew up in the Central Valley area of California (Ron in Sacramento and Jason in Modesto); and both received the exact same plastic skateboard model (GrenTek 'Spoiler') as Christmas gifts in 1976! Most importantly: they remained friends and continue to skate together often discussing their shared artistic vision of a world gone wrong in a beautiful way. Jason will be creating special songs and ambient sounds that will be played in the background and in headphones during this art show, and he will also be performing a live set at the Opening Event on June 11. This show will be held at the Encinitas Library, Community Room for six weeks, opening Wednesday June 9 and running through July 15, 2010. The official Opening Event will take place Friday, June 11, 2010. Not the typical art gallery space, the main room is pretty good size at 2,000 square feet, and receives foot traffic of 1,200 visitors per day.